This high-quality 3" World Class Medallion is the ideal award for prestigious recognition in any area of accomplishments. These are made from a durable, zinc alloy and this medal truly has a unique Olympian style. A laser engravable disc can be put on the smooth recessed back of the medallion. 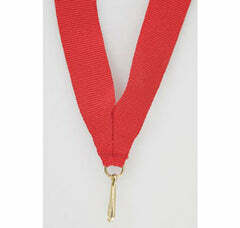 Customize the front of the medal with a custom color image insert.